​​but our bourbon is str​aight. ​We carry a full line line of liquor, wine & beer. Huber Package Store is a liquor store with a small town attitude and a big Texas flavor. We carry all your favorites, but we're know for our unique inventory of local spirits from right here in the Lone Star State; everything from Hill Country wines to Texas up-and-comers. ​​Sometime in early 1918, the Huber family started selling whiskey out of the living room of their three room house, located just outside of Luling, Texas. The store was known then as a "package store", because the Temperance Movement would not allow a liquor bottle to be exposed in public; all bottles had to be in a brown paper sack. Prohibition started in 1920, which made it illegal to sell alcohol. So, the store closed its doors, and the Huber family waited. 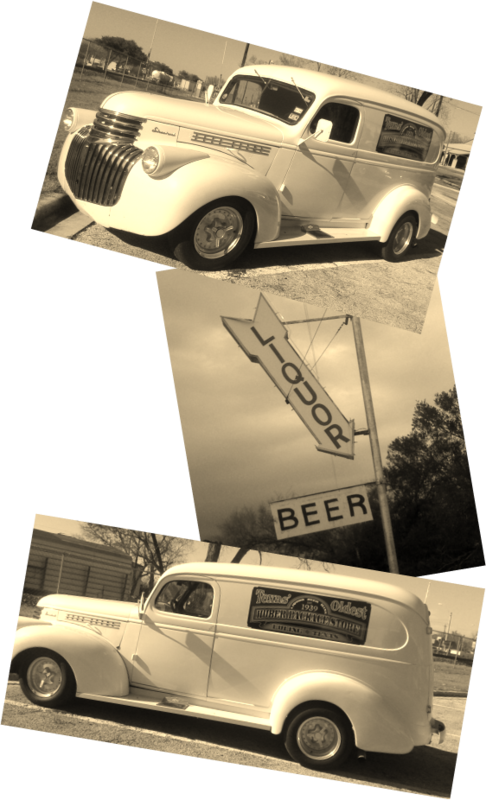 In 1935 (two years after the rest of the world) Texas finally repealed Prohibition. The Huber family immediately went back into business. Even though known transactions at the store occurred much earlier, the first date of record came a few years later in 1939; making 1939 the official established date of the store. Today, Huber Package Store is still operated out of the original house it was started in, which gives us our slogan: "Our floors may be crooked, but our bourbon's straight". We currently offer a full line of liquor, beer and wine. We are proud of our long tradition, and hope you'll come by to soak up some of the history of the oldest package store in Texas.